In honor of Jazz Appreciation Month, a personal appreciation of live jazz in Minneapolis-St. Paul. If I went out to hear jazz every night from April 1-April 30, these are the places I'd go and the people and bands I'd see. For some nights I've listed more than one event when start times are staggered or the venues aren't concert-formal. Lucky for us, most jazz happens in bars or clubs. 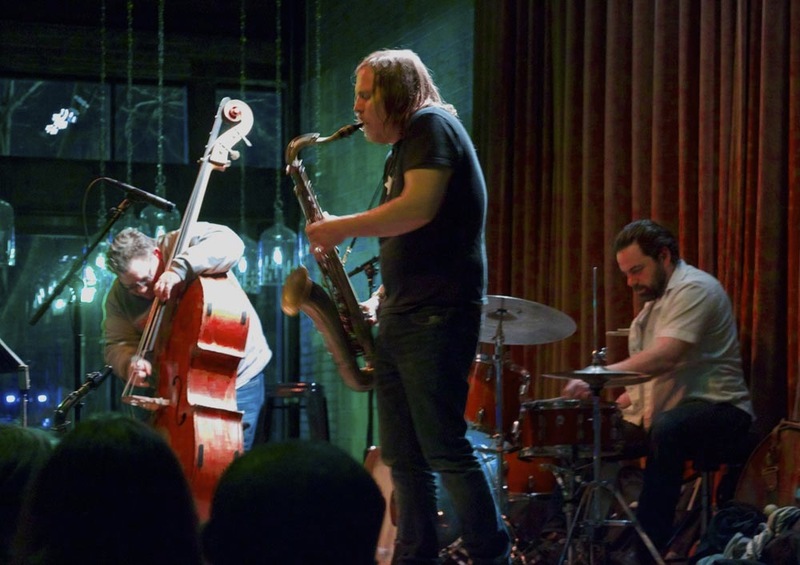 The Twin Cities area is rich in all kinds of jazz, from traditional to free. I lean toward the latter. Note: All month at the Artist's Quarter: Anyone with a valid student ID gets in free Tuesdays-Thursdays. Caveat: Things change. This list may change. 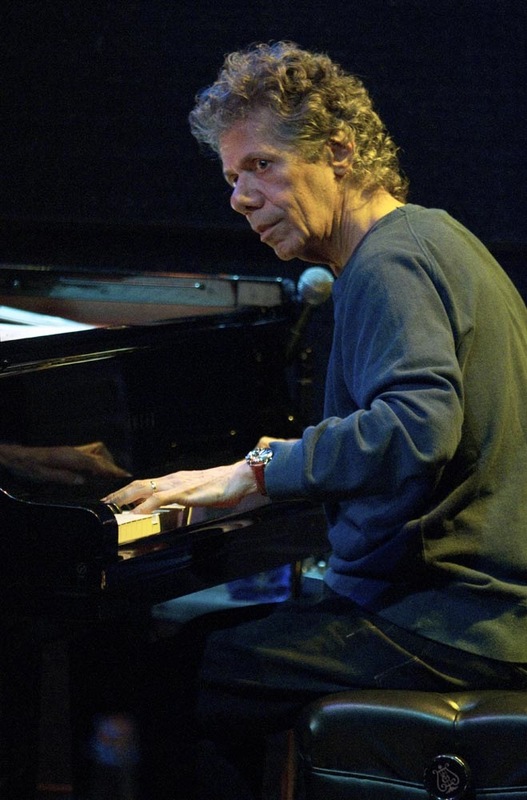 Monday, April 1 at the Dakota: Chick Corea (piano) and Bela Fleck (banjo). Two geniuses, two sets: 7 and 9 p.m. At Icehouse: Fat Kid Wednesdays. Michael Lewis (saxophone), Adam Linz (bass), JT Bates (drums). 9:30-ish. $5. Tuesday, April 2 at the Black Dog: Dean Magraw (guitar) and Davu Seru (drums). 7 p.m., tip jar. Wednesday, April 3 at the Dakota: Madeleine Peyroux. She’s on tour with her latest, “The Blue Room,” currently the #1 jazz album in the country. Singer Rebecca Pidgeon (David Mamet’s wife) opens. 7 and 9 p.m., $65-$50. Thursday, April 4 at the Artists’ Quarter: a live recording by the new trio Triosé – Vincent Rose (guitar), Jeremy Boettcher (bass), Adrian Suarez (drums) – with special guest John Raymond (trumpet). 9 p.m., $5. Friday, April 5 at the Artists’ Quarter: Billy Holloman. For more than a decade, Holloman was the AQ’s Hammond B-3 man, presiding over Organ Night each and every Tuesday until 2004. The return of “The Legend.” 9 p.m., $15. At Icehouse: Happy Apple. 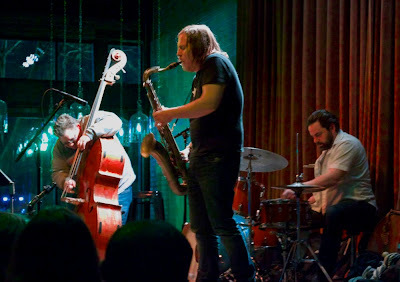 Dave King (drums and toys), Michael Lewis (saxophone), Erik Fratzke (electric bass). As Prince has defined a big part of the Twin Cities’ R&B/funk sound, Happy Apple has shaped a big, juicy slice of our contemporary jazz sound. 11 p.m. (10:30 doors), $12. Saturday, April 6 at the Walker Art Center: John Zorn @ 60. A full day of John Zorn includes a conversation with performing arts curator Philip Bither, three performances (each in three parts, featuring musicians including Marc Ribot, Erick Friedlander, and John Medeski), and a midnight solo organ recital at St. Mark’s Episcopal Cathedral across the street. Programs I-III each $20/$18, very limited availability. Sunday, April 7 at the Dakota: Max Raabe’s Palast Orchester. Cabaret via Weimar Berlin, with baritone crooner Raabe and a swinging 12-piece band. This concert was originally scheduled for the Minneapolis Convention Center, which was supposed to be the Minnesota Orchestra’s home-away-from-home while Orchestra Hall is being renovated, except the Orchestra has been locked out for months in a contract dispute and almost everything has been cancelled. A few programs, including this one, have been picked up by other local promoters. 6 and 8:30 p.m., $60-$40. At Icehouse: an evening with trombone heavyweight Steve Davis. Just announced, this night will feature two sets with Davis: an 8 p.m. show with the James Buckley Trio (Buckley on bass, Bryan Nichols on piano, JT Bates on drums) and a 10 p.m. show with improvising musician (and Steve’s brother) Jon Davis and friends. Doors at 7, $8. 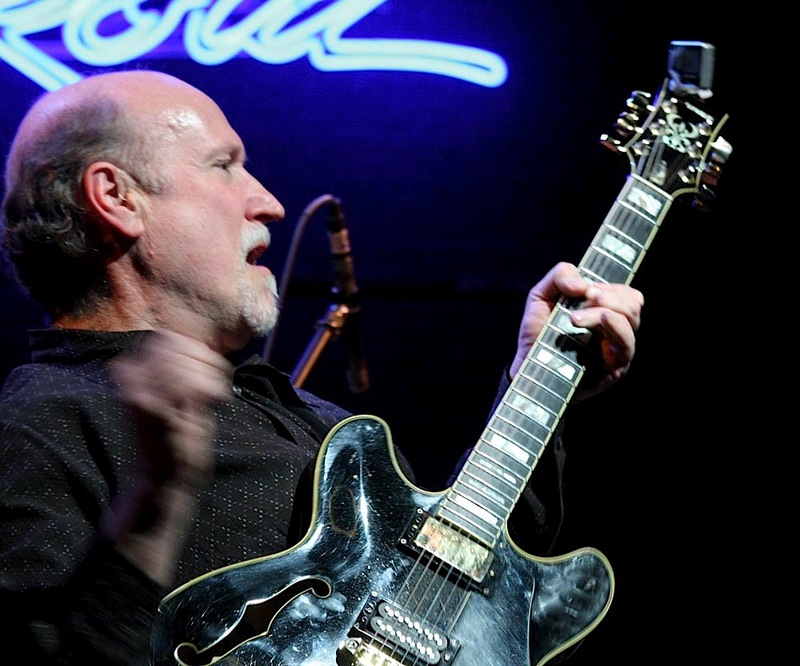 Monday, April 8 at the Dakota: John Scofield Hollowbody Band featuring Mike Stern. Two great guitarists on one stage. With Ben Street (bass) and Bill Stewart (drums). 7 and 9 p.m., $42-$32. At Icehouse: Set 1: Fat Kid Wednesdays. Michael Lewis (saxophone), Adam Linz (bass), JT Bates (drums). Set 2: John Raymond (trumpet). 9:30-ish. $5. Tuesday, April 9 at the Black Dog: A Chris Olson Project. Olson (guitar), Will Kjeer (piano), Luke Ibach (bass), Ricky Parker (drums). 7:30 p.m., tip jar. Wednesday, April 10 at Jazz Central: Chris Bates’s Magica Improvisado series. Tonight: Enormous Quartet with Chris Thomson (sax), Park Evans (guitar), Bates (bass), and Joey Van Phillips (drums). 8:30 p.m., donation. Thursday, April 11 at Studio Z: Ben Wendel. This surprise addition to the Jazz at Studio Z series features Kneebody’s Grammy-nominated saxophonist and area players Zacc Harris (guitar), Brian Ziemniak (keyboards), Pete Hennig (drums), and others TBA. 7 p.m., $10. At Barbette: saxophonist John Devine, a mainstay of the TC jazz scene. 10 p.m., no cover. Friday, April 12 at the Artists’ Quarter: Eric Kamau Gravatt & Source Code. The incendiary drummer (Weather Report, McCoy Tyner) leads his own band at home in St. Paul. 9 p.m., $12. Saturday, April 13 at Bethel College’s Benson Great Hall: Seven Psalms. Pianist/composer Jeremy Walker’s new project, with Brandon Wozniak (saxophone), Jeff Brueske (bass), Tim Zhorne (drums), Jason Harms (voice), and a 20-voice choir. 8 p.m., free. Here's my profile of Jeremy for the StarTribune. Sunday, April 14 at the Dakota: Paquito D’Rivera and the Assad Brothers: Dances from the New World. D’Rivera (clarinet) joins the Assads (guitar duo) in music by D’Rivera, Copland, Villa-Lobos, Gershwin, Lecuona, and others. Latin meets jazz meets classical. 6 and 8 p.m., $45-$40. Monday, April 15 at the Dakota: Doc Severinsen and His Big Band. The one, the only, still blowing strong. Area pianist Mary Louise Knutson has been touring with Doc and his band, and we can probably expect to see her on stage here as well. 7 and 9 p.m., $60-$40. At Icehouse: Anthony Cox (bass), Davu Seru (drums), and Dean Magraw (guitar). 9:30-ish. $5. 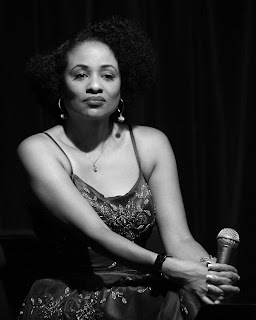 Tuesday, April 16 at the Black Dog: Lisa Brimmer and High Society. Poetry by Brimmer with improvisational music by High Society: Cory Grossman (cello), Andrew Foreman (bass), Pete Hennig (drums), Steve Kenny (trumpet), Evan Montgomery (guitar). 8 p.m., tip jar. Wednesday, April 17 at the Artists’ Quarter: Graydon Peterson Quartet. Peterson (bass), Adam Meckler (trumpet), Vincent Rose (guitar), Adrian Suarez (drums). 9 p.m., $5. Thursday, April 18 at the Artists’ Quarter: Talking Strings. Gary Schulte (violin), Pavel Jany (guitar), Andrew Foreman (bass). 9 p.m., $5. Friday, April 19 at the Artists’ Quarter: David Hazeltine. The primo pianist and musician’s musician, in from NYC. 9 p.m., $15. Saturday, April 20 at Icehouse: Patrick Harison (accordion) and Josh Granowski (bass). 6:30 p.m., no cover. At MacPhail Center for Music: Francisco Mela. The Cuban-born composer/drummer and longtime member of Joe Lovano’s “Us Five.” 8 p.m., $20-$15. Sunday, April 21 at Landmark Center: Red Planet’s “The Spirit of Trane.” Dean Magraw (guitar), Chris Bates (bass), and Jay Epstein (drums) pay deep-space tribute to John Coltrane. 4 p.m., $12. Monday, April 22 at Barbette: The Neighborhood Trio. Steve Roehm (vibes), Andrew Foreman (upright bass), Dan Schwartz (vocals, guitar, and acoustic steel). Pop+soul+roots+jazz. 10 p.m., no cover. Tuesday, April 23 at the Black Dog: Merciless Ghost. Free jazz trio with the awesome George Cartwright (saxophones), Josh Granowski (bass), and Davu Seru (drums). 8 p.m. Tip jar. Wednesday, April 24 at the Artists’ Quarter: Miguel Hurtado & Friends. The young drummer and Manhattan School of Music grad is becoming an in-demand member of the Twin Cities jazz scene. 9 p.m., $5. Thursday, April 25 at the Black Dog: Improvestra. Formed in 2011 at McNally Smith College of Music, Improvestra is an orchestra made up of experienced area musicians and students. The music is entirely improvised on stage, and the conductor uses a vocabulary of hand gestures and symbols invented by Butch Morris, who died in January. Morris called his method “conduction,” short for “conducted improvisation,” and defined it as “an improvised duet for ensemble and conductor.” George Cartwright sent me this video in March. Friday, April 26 at the Dakota: Irv Williams (saxophone) and Peter Schimke (piano). Now 93, Williams is rightly known as “Mr. Smooth,” and not because he plays smooth jazz. 4 p.m., no cover (Happy Hour). At the Walker Art Center: “Heroic Frenzies: The Music of Craig Taborn.” Born in Golden Valley, now living in NYC, keyboardist and composer Taborn is touring behind his trio’s second CD for ECM, “Chant.” This event is about more than the new CD. Taborn will perform in three configurations: Junk Magic (with Dave King on drums, Erik Fratzke on bass, Chris Speed on tenor saxophone, and Matt Maneri on viola), solo (featuring works from his first ECM release, “Avenging Angel”), and with his trio (Gerald Cleaver on drums, Thomas Morgan on bass). 8 p.m., $25-$22. Saturday, April 27 at Studio Z: Insurgent. Pat Moriarty (alto saxophone), Ellen Lease (piano), and Phil Hey (drums). An evening of extended improvisation. 8 p.m., $10-$5. Sunday, April 28 at the Aster: “Off the Cuff: A Series of Improvised Collaboration.” Two sets of local indie musicians from diferent backgrounds (pop, rock, electronic, hip-hop, and jazz) collaborate on the spot. Curated by Andrew Foreman. 9 p.m., $5. Monday, April 29 at Storm’s Fireside Pizza: “Live at the Fireside: Hot & Crusty!” On most Mondays and Wednesdays, the charming Charmin Michelle (voice) and amiable Denny Malmberg (accordion) make great pizza better with their musicality, warmth, and audience appeal. At Icehouse: Brian Courage’s Courageous Endeavors. Brian Courage (bass) and TBA. Tuesday, April 30 at the Amsterdam: Jack Brass Band. Minneapolis’s only New Orleans-style brass band is an instant party. 9 p.m., no cover.